Every year around November I start getting really excited. It’s the time of year when the bookstores start pushing the next year’s calendars. It’s the time of year when that temporary calendar store in the mall opens up! (Or at least it’s the time of year that I really notice these things). I love seeing what new calendars are coming out. I start thinking about which calendars (yes plural) I want to buy and enjoy over the next year. My name is Laura and I’m obsessed with calendars. Page-a-day calendars to be precise. 1) All the good calendars go fast! 2) I just can’t wait too long into the year for my new calendars! Anyway, I’m finding that in the past few years, the good calendars are going faster and faster :-/. I may have to break down and buy one before the new year next year if I see one that I REALLY want. This year…I was excited by a few, but there weren’t any that I was specifically looking forward to. But of course, as soon as I got back to DC after the new year…I ran out to find my calendars! Now I was all set with my wall calendars. I got two for Christmas. Both happened to be from my lovely sister Linda, although one (the Darts) was via our cousin grab bag! The Darts! Calendar looks like tons of fun. 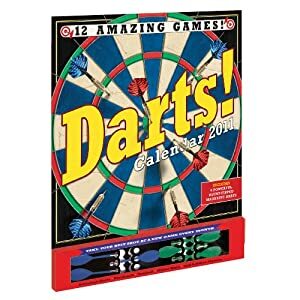 Each page is a new type of dart board with different targets to try to hit with the magnetic darts that come with it! I have the perfect place on my wall for this calendar…..but I accidentally left it in NJ. I will be sure to hang it as soon as my mom mails it to me (or I get home to retrieve it). Sorrrrrry Linda! Very happy with my wall calendars, my first trip to the bookstore I was looking for page-a-day calendars. In the past I have been drawn to puzzle calendars such as Sudoku or Scrabble word puzzles. However I always remember how I fall behind and save the puzzles to do later and then the pages pile up. I also usually like the ones that are activity based...I was given an origami calendar one year and was really excited about it. But then it turns out I either wanted to save the cool origami, or save the patterns that I wanted to try later…and then found I was saving things that I really didn’t need. (Don’t worry I’m not a hoarder…I have since thrown them all away). 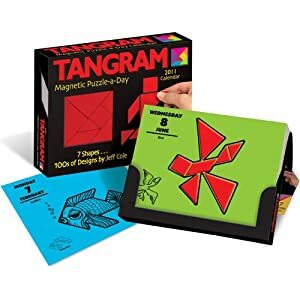 Because I know of my page-a-day saving habits, I decided not to allow myself to get a calendar I would be tempted to save something from….or calendars that required a lot of puzzle thought because I’d save those to do later too. This meant that I was sort of limited…to cartoons…or daily advice/tips/jokes…or maybe a daily picture? I was fine going in looking for cartoons. Personally I got into page-a-day calendars with The Far Side calendar. I used to get that calendar each year…until they stopped publishing it. I have gotten other “fun” calendars since then…but I was ready to try a new daily cartoon. I thought I might enjoy The Argyle Sweater because it’s a single frame cartoon much like The Far Side. 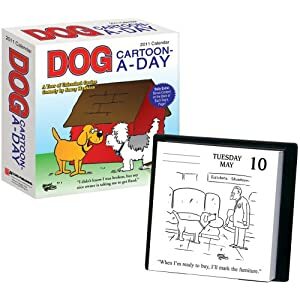 The Dog Cartoon-A-Day choice I thought I might appreciate being a dog owner myself. But I have to tell you…as the days went by…I wasn’t all that pleased with either of these calendars. 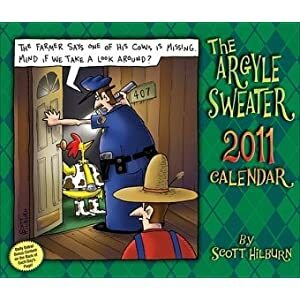 The dog calendar isn’t too bad (not great) but I was pretty disappointed in particular with The Argyle Sweater. Maybe its my sense of humor…but it is just not nearly as funny to me as The Far Side. Long story short, my calendar addiction this year was not satisfied…I soon found myself in back on the hunt! Last week my friend Shirin and I went to see The Black Swan. We had some time before the movie and there was a bookstore so of course I had to go check out the calendars. I found two calendars that I really liked. One I had passed up before, and one that I hadn’t seen at all yet. And while they both broke some of my earlier rules, with my lack of success with the cartoon calendars, I allowed myself to break them. 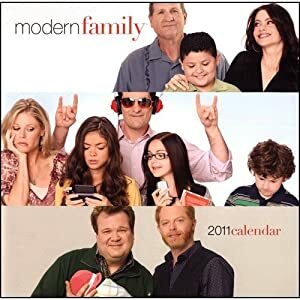 To be honest…I decided to look up the 2010 version of this calendar on Amazon. I thought maybe if it was really cheap…ya know because its way out of date…I’d buy it to look through for other projects (hoping that they wouldn’t repeat a lot year to year). Turns out….this calendar gains value as the year increases…its so unbelieveable…check the price out for yourself! 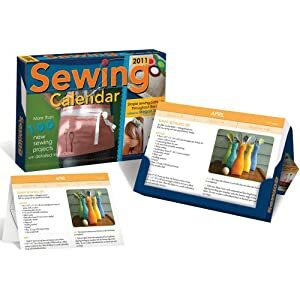 Here is the link: 2010 Sewing Calendar (and be sure to click on the link for the 8 used ones to check those prices out too hahaha) UNREAL RIGHT??? I failed to mention that I have two work pay period calendars on my desk wall at work, I have my work email calendar for work meetings, and I like to keep my Google Calendar up to date (because I can access it on my phone)…..soooo that brings me to a total of 10 calendars???? Yea I might have a problem….but ya know I don’t typically have THAT many calendars. I sort of feel like giving myself too the rules to follow lead me to two calendar duds…..next year I’ll keep the rough rules in mind….but I’ll let myself get the calendars I feel drawn to as well. Does anyone else have a calendar problem like me? Anyone have any great calendars this year to recommend? Anyone a fan of The Far Side and know of a good replacement cartoon? Just want to comment on the prices of the old Sewing Calendars?? Leave me some fun comments!